One of the best things about fall is pumpkin pie everything. Pumpkin spice lattes, pumpkin muffins, pumpkin scones, obviously pumpkin pie, and now we bring you . . . the Pumpkin Pie Shot. It’s a combination of Kahlua, Bailey’s, and tequila, so this one packs a bit of a wallop. It’s delicious, too. Somehow these flavors really do manage to mimic the taste of pumpkin pie, and you don’t even need a fork. 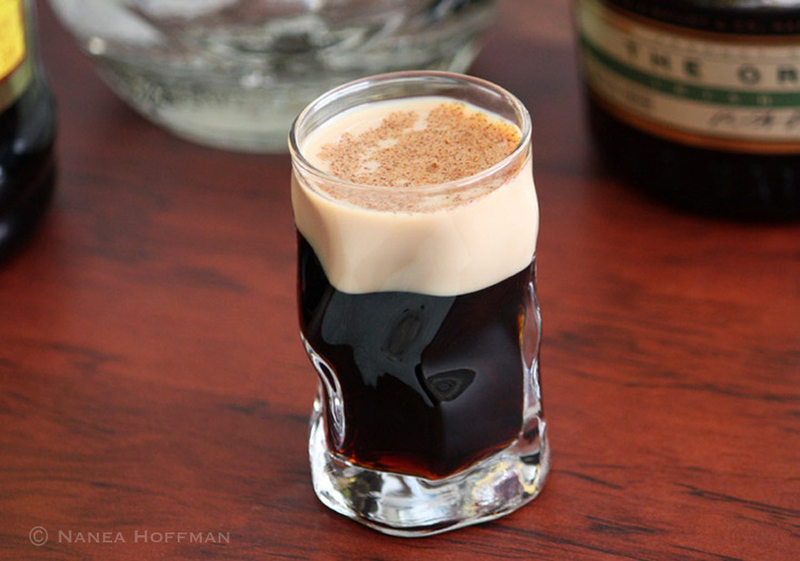 Pour Kahlua and tequila into a shot glass. Give it a little stir if you like. Carefully layer the Bailey’s on top – I like to pour it slowly over the back of a spoon. You don’t have to do this, but it’s prettier. And it gives the cinnamon something to sit on. Sprinkle with cinnamon. Cheers!